On Wednesday January 14th I went to Mug’s Ale House for the january meeting of the Malted Barley Appreciation Society. The evening’s guest speaker was Flagship Brewing Co. head brewer Patrick Morse. In this video Patrick talks about the history of Flagship and the three beers that he brought for the meeting’s attendees to enjoy. As one of NYC’s newest craft breweries Flagship in my opinion has a lot of potential due to the passion and experience level of its brewers. However, after trying three of their beers I was left with the impression that they’re still in their initial growth phase i.e. they’ve been using a limited amount of yeast strains in order to save money and keep their beer production pipeline going. Over time I hope that they move away from this method in order to best capture the flavor profiles of the beer styles that they produce (e.g. the round malt and ester qualities from an English yeast strain for their Wee Heavy). With all the new NYC breweries getting their feet wet in the craft brewing community it’s been great to experience the feeling that NYC finally has it’s own local craft beer culture made up of great craft breweries, brewpubs, and craft beer bars. I sincerely hope that all the breweries that have recently opened and those that will be opening in the coming year or so will be successful and work together as they establish NYC’s mark on the US craft community / industry. 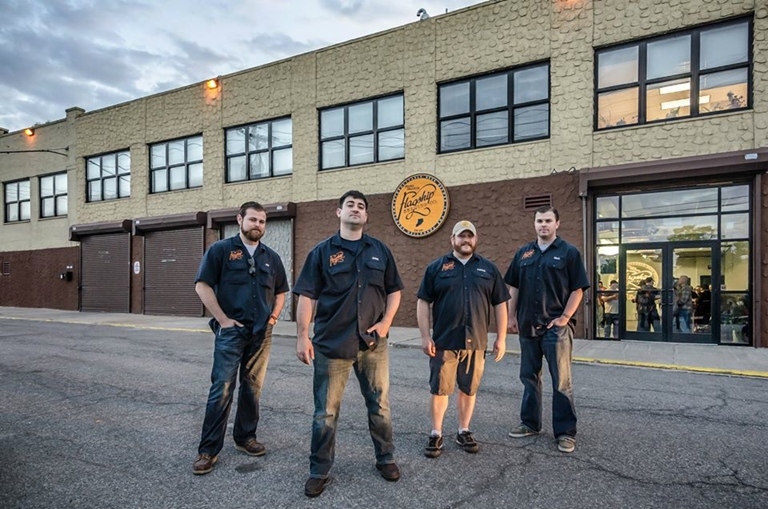 This entry was posted in Brewmaster Interviews, Craft Beer Advocacy and tagged Flagship APA, flagship brewing company, Flagship Wee Heavy, Malted Barley Appreciation Society, Mug's Ale House, NYC craft brewery, Patrick Morse, Roggenfest, Staten Island brewery. Bookmark the permalink.